Brought together by a doctor. A team of heart patients who have entered the FA People’s Cup this year have a CPR celebration that they do every time someone scores. Pacemakers FC were started by a doctor who brought together some of his heart patients in an effort to improve their fitness. The club are now said to have over 60 players on their books, aged between 50 and 80, who have all had heart problems. 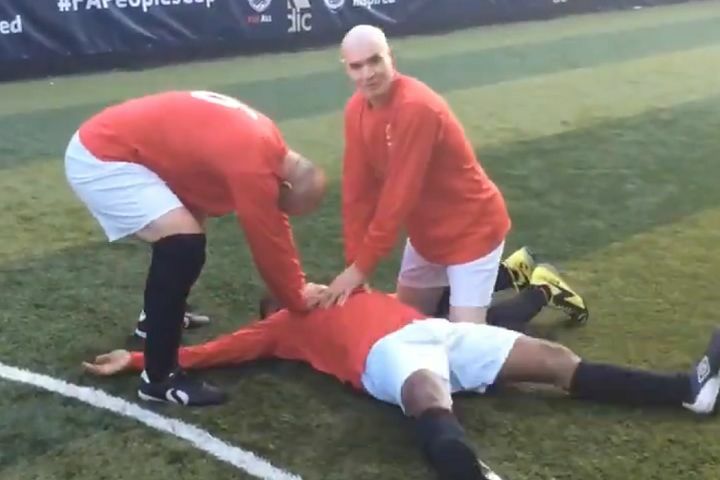 A goal celebration in which the scorer lays down with legs and arms flailing while a teammate performs CPR on him can be seen in the clip above. You can watch coverage and an introduction to the teams in the first round of the FA People’s Cup on BBC iPlayer now.